Can be found on the icebergs along the coast with other penguin critters. Spits a blast of ice at the target, dealing 394 Elemental damage. Shoots a jet of rapidly chilling ice, dealing 197 Elemental damage and coats the ground near the enemy with ice. Frozen ground causes enemies to be Chilled and reduces hit chance by 20%. Lasts 4 rounds. Persists through pet swaps. This attack goes first if the weather is a Blizzard. Of course, I named him Mumble. The healthiest penguin available at 1627 health. The two breeds trade power(289 with 244 speed) for speed(273 with 260 power). When you got Surge you don't really need to worry about speed since you always have the option to go first. With Slippery Ice down Ice Lance damage really starts to fly. Tiny Snowman is a nice partner, strong vs birds and it has Blizzard which makes Belly Slide go first as well. Penguins are a nice aquatic and are quite strong. Totally go with the dragon bone hatchling advice other people are giving. 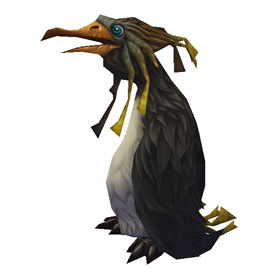 Really easy to get one of these silly birds as a secondary in pet battles with them. I named mine Hioho after the awesome penguins in New Zealand. Hioho is my druid's BFF. Miettes the druid runs around in white-furred bear form with Hioho and they look like a couple of arctic rabble-rousers. They especially love crashing beautiful springwater pools until they get kicked out by officious wisps. Update: Two days later, went with the Dragonbone strategy mentioned below. After about 50 more fights, I finally caught one. Farming the Dragonbone Hatchlings in Dragonblight is definitely the way to go if you're looking for this pet. You can make a loop of all the spawn points, killing every single one if you want, and never run out of spawns. I found a rare as a secondary pet in the first fight, and probably tossed a dozen more back while looking for a rare Dragonbone Hatchling. 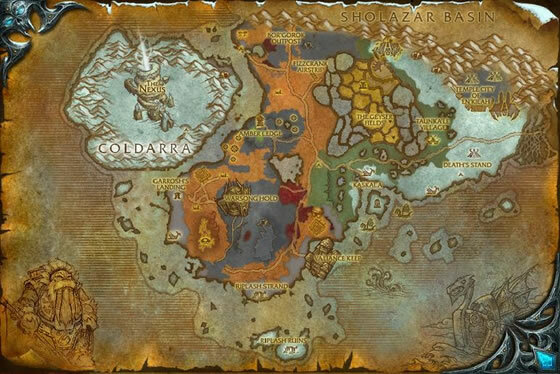 Whoever said go to Dragon Wastes & farm the condors was right, you don't have to leave the area and got a rare quickly. Got mine last night on US server, west coast time 2:00 AM. 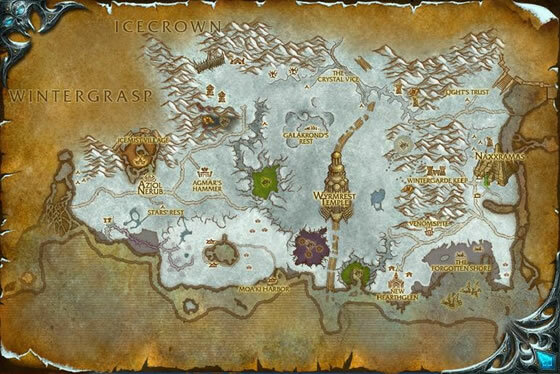 Sure enough, Dragon Wastes in Dragonblight is "one" of the places to go. However, 'rares/uncommon' were "rare". Dragonbone Hatchlings, plentiful, and spawn/respawn everywhere. Got a 'rare' with first hit. If looking for: 'rare' Artic Hare/Shore Crab, go here. They're so plentiful I was tossing them. The place I finally got my rare Penguin however, was in Broean Tundra in the Oily Oozling lineup. Only one showed, and I got him. Sweeeet! 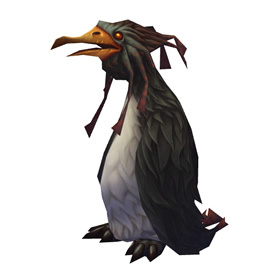 I'm a Roleplayer on Moon Guard, ßùtch , and I named this pet Beaky. In RP (Roleplay), Beaky is a majorly idiotic but lovable penguin. And by majorly, I mean MAJORLY. This pet is very lovable, and it deserves more recognition. Please, go out to Dragonblight, and grab one of your own! They're on icebergs, just so you don't aimlessly fly around looking for one on the shore. got my rare, killing the dragon bone hatchlings, in dragonblight, also captured a rare arctic rabbit to. good luck. Found as an add to arctic hare primary in Dragonblight near Moa'ki Harbor. I found two rares while battling the condors just next to the Temple in Dragonblight. Both times one was mixed in with the pet I was battling. Soo adorable! There are at least two different versions of this guy. My sister's has blue eyes and mine has brown. You can find them on the icebergs but there are very few. It's more easy to find them teamed with Oily Slimelings in Borean Thundra. You can even find two of them in the same fight. Good luck. Tundra penguins often gather in large groups on the ice for protection against aquatic threats. Unfortunately this makes them easy prey for humanoid hunters seeking meat, skins and other achievements.